Companies are designing and testing autonomous cargo and freight drones to compete with short-haul trucks and small freight aircraft. Workhorse Group is seeing lots of interest in its $200,000 “Surefly” short-distance electric helicopter-for-two that it previewed last year. Electric truck maker Workhorse predicted that its parcel drone would be in business by Christmas. Research from the University of Washington finds that aerial drones are more environmentally friendly than trucks when delivering small packages. UPS and Workhorse Group have teamed up to develop an autonomous delivery drone designed to deliver packages to remote and difficult to reach locations. 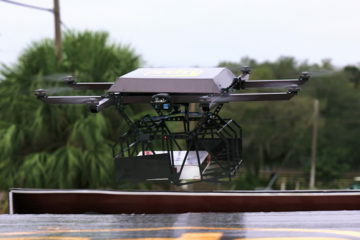 UPS tested its new HorseFly UAV Delivery system in Florida on Monday. Mercedes-Benz Vans is at the Consumer Electronics Show displaying its Vision Van, designed to serve as a mobile distribution center and mothership to a fleet of shipping drones. Amazon, Google and drone start-ups work through thorny issues surrounding landing, security and capacity for package delivery to homes. 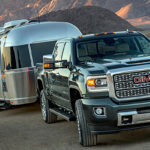 When announcing third quarter financial results, electric truck and drone package delivery manufacturer Workhorse Group detailed how it is making progress developing a truck-mounted drone system that will comply with Federal Aviation Administration regulations. Shipping giant UPS, Zipline and an international aid agency have team to use drones to deliver blood for transfusions to remote areas of Rwanda. UPS and CyPhy Works test using drones to delivery small packages to remote and hard to reach locations. Mercedes-Benz releases design of new Vision cargo van, an electric delivery vehicle that could operate in congested city centers and use drones to take packages to people’s doorsteps. New FAA rules will limit commercial drone flights to daylight hours and at altitudes of 400 feet or less, opening the door to future regulations that may impact the trucking industry.